Decentralized cloud services are disrupting the industry, increasing security and more. Here's how these companies are looking to the future and designing a new breed of storage solutions: decentralized, blockchain-backed cloud platforms. Cloud hacks are becoming increasingly more prominent and problematic – a concerning trend, especially in light of the fact that individuals, companies and institutions are relying on cloud technology now more than ever to keep their data secure. Throughout the years, major hacks have disrupted credible companies including Dropbox, Hipchat and most recently, Tesla. 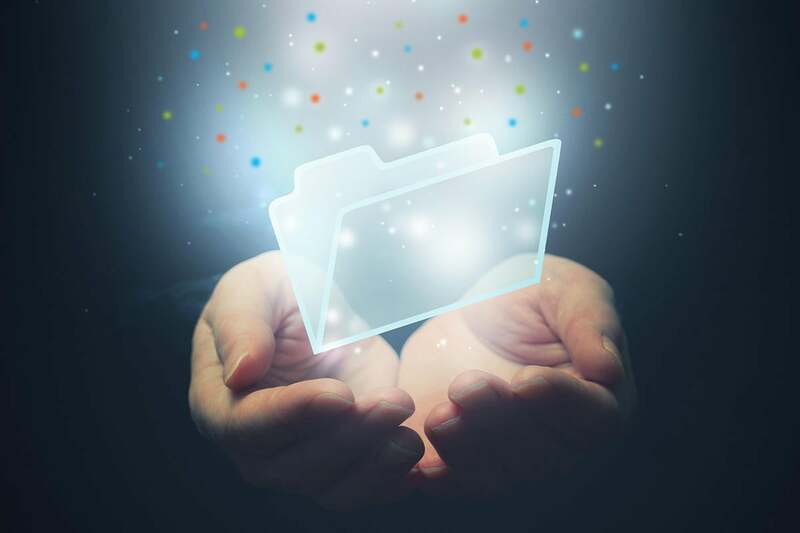 As a result, individuals and businesses of all sizes are rightfully uneasy with the idea of storing important data, and are calling for new, more secure cloud storage options to ensure that their data remains uncompromised. But how are cloud storage platforms responding? Since there is almost nothing standing in between an experienced hacker and a centralized cloud platform like Amazon Web Services, Google Cloud Platform and Oracle Cloud, a small number of innovative companies are looking to the future and designing a new breed of storage solutions: decentralized, blockchain-backed cloud platforms. The movement signifies the dawn of Cloud 3.0, ushering in a new era that is rooted in decentralization and increased security through blockchain technology. A decentralized cloud provides more security to any individual or company’s data, as it is not controlled by a single entity. All movements of data are tracked on the blockchain – essentially a digital public ledger – so it is impossible to manipulate or delete data without the user’s permission. In addition to the added security, data is spread across a global network, so if one data center goes down clients can still retrieve their files. If an outage occurs within a centralized cloud, on the other hand, the company can be offline for hours, even days. Additionally, it is costly to create mirror backups in a centralized network. Decentralized cloud storage solutions often have self-healing networks, so if there is a malicious attack or error, the protocol recompiles the data to ensure seamless service. Essentially, with the user controlling the private keys that give access to their data, the transfer and movement of data is more secure, eliminating the chances of a data breach. Overall, blockchain is a more secure method of transfer – the high levels of cryptography and transparency within the block explorer makes it a safe and secure means of operation. Businesses are looking for more transparency from their cloud providers, and rightfully so. The cloud hosts precious data that clients want to be sure is as secure as possible. Transparency in centralized services and software has increased but still lacks total visibility and access because it’s controlled by a single provider – the complete opposite of a decentralized solution. Centralized providers will have to challenge themselves and rethink their structure when it comes to transparency for clients, otherwise they will likely lose a portion of the market. Blockchain technology allows for the easy implantation of token economics, so decentralized cloud providers have started adopting tokens as a form of payment for storage space, completely disrupting traditional billing models for cloud platforms. By switching to storage providers that work on token economics from more traditional ones, customers will undoubtedly save money. Specifically, storage providers can use token economics to essentially provide zero-cost storage through a process in which customers purchase valued tokens in exchange for storage space. And when a customer no longer needs their storage space, they can sell their tokens. This payment solution will lead to a more competitive market, rather than just a handful of centralized market leaders. Essentially, token economics allows for more flexibility, creates new value and reaches markets that previously could not be accessed. Tokens are part of the blockchain functionality, and token economics is the future of the digitation of all assets. With the world moving towards the mass adoption of decentralized solutions, it is important to fully understand and acknowledge some of its drawbacks, as well as the advantages. Traditionally speaking, blockchain technology is slow. However, it is possible to implement the right technology to combat this issue. While it’s clear that not everything will move to a decentralized cloud right away – in fact, mass adoption could and will take many years to achieve – the decentralized cloud market will surely challenge traditional cloud solutions and win over a certain percentage of customers, continuing to grow with time and increased acceptance among forward-thinking individuals and companies looking for more secure ways to store their data. Atif Yaqub is a London-based business lead for 0chain. Previously he built startups in Europe, the Middle East and Asia.